There are many things that signify it's St. Patrick's Day. 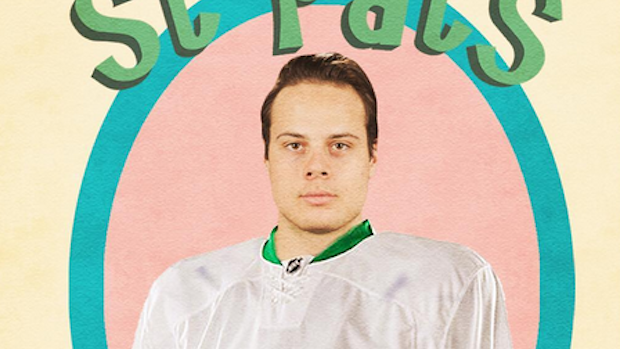 That beer you're drinking is green, everyone you know is pretending to be Irish, and hockey teams across the continent are wearing awesome green colour jersey's to mark the occasion. 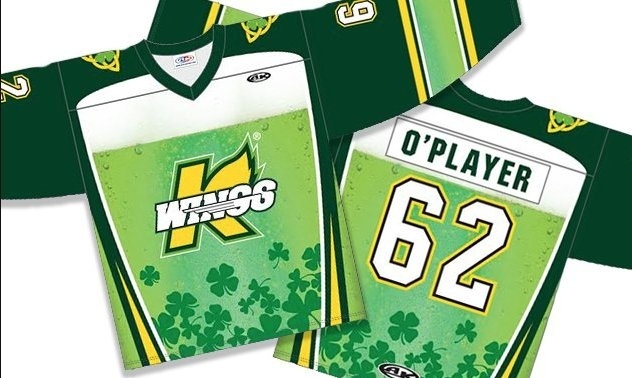 There have been many awesome St. Patricks's Day jerseys worn on game day by teams in the NHL, AHL and ECHL. You know that we are your go-to site for all the coolest tribute jerseys, so why would today be any different? 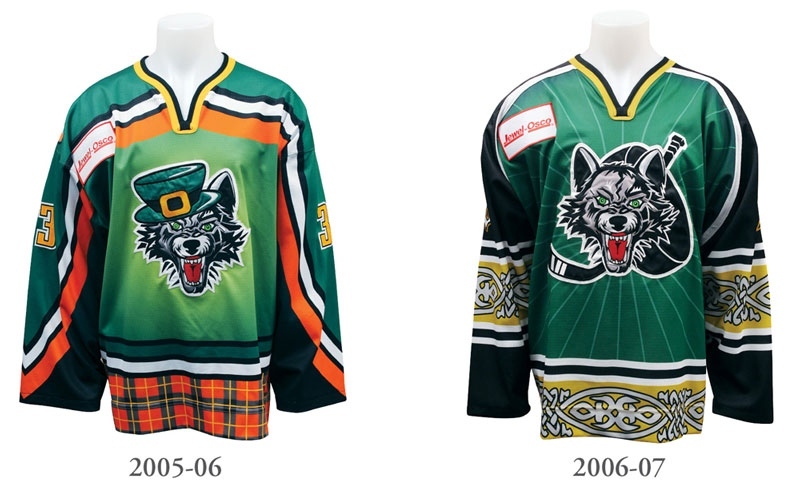 Let us present some of our favourite Irish-inspired hockey sweaters from years past. 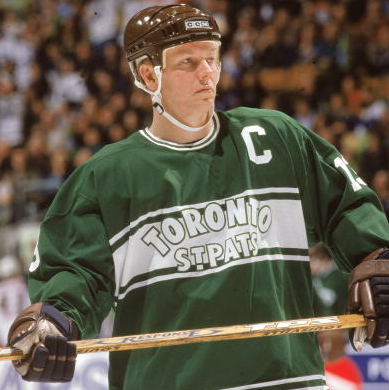 These jerseys may not be St. Patrick's Day specific, seeing as they were one of the Toronto Maple Leafs original sweaters, but there is no denying the obvious ties to the occasion. And that the team tends to wear these uniforms on St. Patrick's Day. 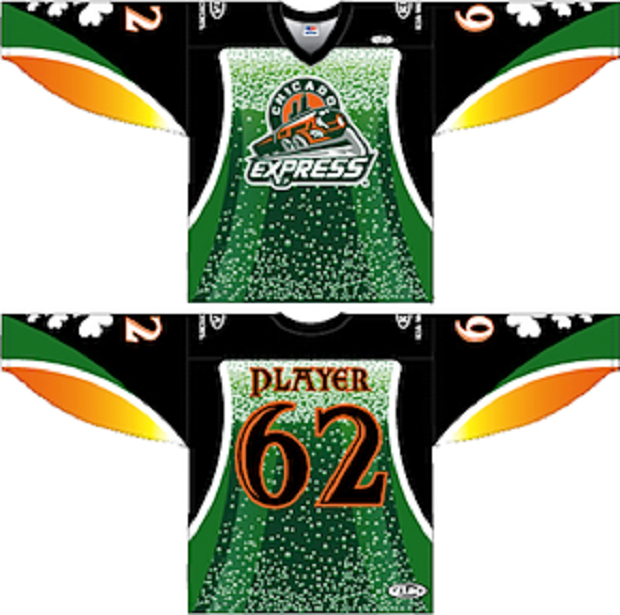 If the jerseys say St. Pats, you know they are making our list. These jerseys are simply incredible. 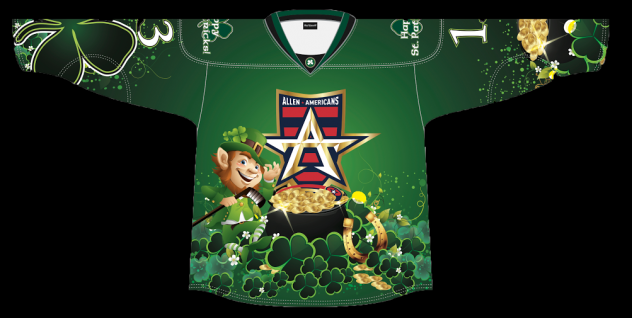 We love how the Americans incorporated a giant leprechaun and pot of gold on the front. They were not trying to hide their Irish pride. The Wolves are currently the AHL affiliate of the St. Louis Blues, but when they wore these awesome sweaters, they were still affiliated with the Atlanta Thrashers. Everybody remembers how unique the Thrashers' jerseys were, so is it really any surprise their AHL affiliate rolled out awesome St. Patty's uniforms year after year? Like the Penguins jerseys, you may not think these ones are deserving to be on the list. But once again, there are circumstances that warrant their inclusion. You may not be familiar with the Chicago Express, and we can't blame you for that. The organization only lasted one year in the ECHL and folded due to poor attendance numbers. But to say they made the most of their lone St. Patrick's Day would be an understatement. The jerseys look ordinary, but on closer inspection, you'll notice that those circles are suds from the green beer that adorn their jerseys. 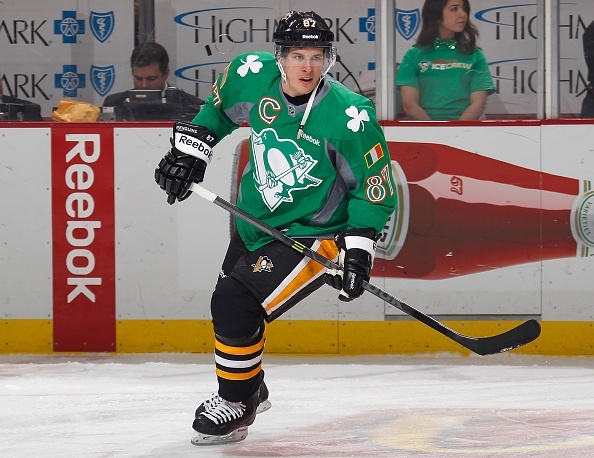 Is there a favourite St. Patrick's Day jersey that we missed? Let us know @BarDown or email us at bardowncommunication@bellmedia.ca and we will share them with everybody.